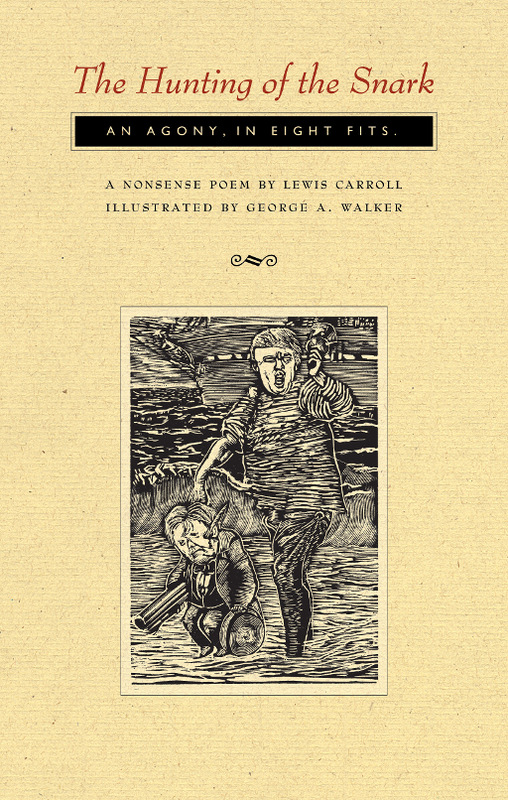 In this illustrated edition of Lewis Carroll’s The Hunting of the Snark, master wood engraver George A. Walker provides an uproarious reinterpretation of the classic poem poem as seen through the convex lens of contemporary American politics. Lewis Carroll’s classic nonsense poem The Hunting of the Snark follows a band of oafish misfits as they undertake an epic quest to catch a fantastical creature known as the Snark. Led by the bombastic and bewildering Bellman, the crew sets out with enthusiasm, a blank map—and no clear idea of what they’re doing. 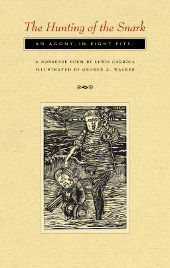 This newly illustrated edition contains all the delightful darkness and droll sarcasm of Carroll’s original text; and yet, wood engraver George A. Walker cleverly reimagines the tale through his illustrations, drawing from the world of presidential politics to recast the story. 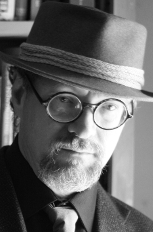 In so doing, Walker creates an irresistible commentary on contemporary America, memorializing a baffling political climate and providing a sharp new way of looking at a familiar poem. Contrariwise, as Tweedledee would say, more enlightened minds can rejoice in profound and perplexing—another term might be ‘poetic’—works of art. Hermeneutics (the art of interpretation) can better be used to demonstrate how a text could be construed a certain way, thereby proving, with great humor and wisdom, just how infinite is its depth. Fortunately, we are in such hands with this present edition, which does not dictate but rather wittily utilizes illustrations to the poem to memorialize a moment in political time, the bewildering administration of Donald J. Trump and his cronies, by assigning caricatures of his staff to the expedition’s crew. As Ben Hecht put it in A Guide for the Bedevilled (1945), ‘Trying to determine what is going on in the world by reading newspapers is like trying to tell the time by watching the second hand of a clock.’ Already at this writing some of the persons caricatured in this edition have left the administration—Anthony Scaramucci, Reince Priebus, and Stephen K. Bannon—but that does not affect George Walker’s superb caricatures, nor this edition serving as an aide-mémoire of a baffling yet historic time. 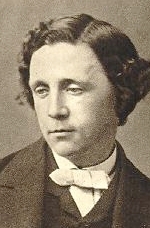 Lewis Carroll was born on the 27th of January, 1832, as Charles Lutwidge Dogson at Daresbury in Cheshire, England. Carroll is best known for his children’s books Alice’s Adventures in Wonderland and Through the Looking-Glass, which quickly became international successes and to this day inspire films, art, and research. Other famous works of his are the poems ‘The Hunting of the Snark’ and ‘Jabberwocky’. Carroll had a prodigious talent in mathematics, logics, word play and philosophy, and he spent most of his life teaching mathematics at Christ Church, Oxford. He died at the age of sixty-five on January 14th, 1898, in Surrey, England. Today there are societies around the world—perhaps most notably The Lewis Carroll Society—dedicated to the study of his life and to the appreciation of his writings.